Here’s some high praise worth crowing about: No less than National Geographic Traveler magazine has chosen Louisville as one of 20 “Best of the World” destinations. The December-January print issue is in stores now. If your hectic holiday schedule prevents you from running out to purchase a copy, thankfully the folks at Mayor Fischer’s office have posted a pdf of the article here. According to The Courier-Journal, other cities joining Louisville in this illustrious group include Oslo, Norway; Taxco, Mexico; and Yakushima, Japan—none of which we’ve checked off our bucket lists, but perhaps locations we should add. Featured in the NGT piece is our city’s expanding bourbon district, the Urban Bourbon Trail, the Evan Williams Bourbon Experience, Down One Bourbon Bar, Proof on Main and The Silver Dollar. Sounds somebody had a good visit! – USA Today’s Heartland Hotspots takes a look at Louisville in a wonderfully produced video that can be viewed here. 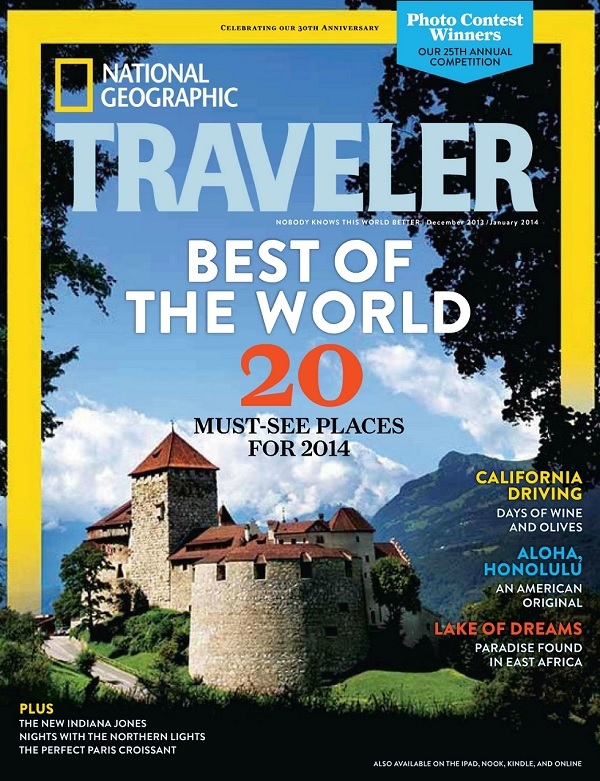 – Our fine city will also be featured in the January issue of Conde Nast Traveler. Our friends at Insider Louisville got their hands on a preview — take a look here and here.